To the campers, and their parents, Towering Pines and Camp Woodland are great places to have fun, make new friends, and safely try new experiences. To the camp staff, we understand that serving the campers in this manner requires smooth cooperation to achieve the famous title of the “Well-Oiled TP Machine!” (it’s kind of like Chief of the Day for counselors, but for the whole staff at once). 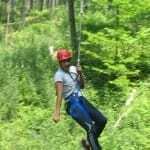 To augment the already-rigorous CIT training program, Towering Pines and Woodland includes team-building as a fun part of the CIT preparation to become staff. 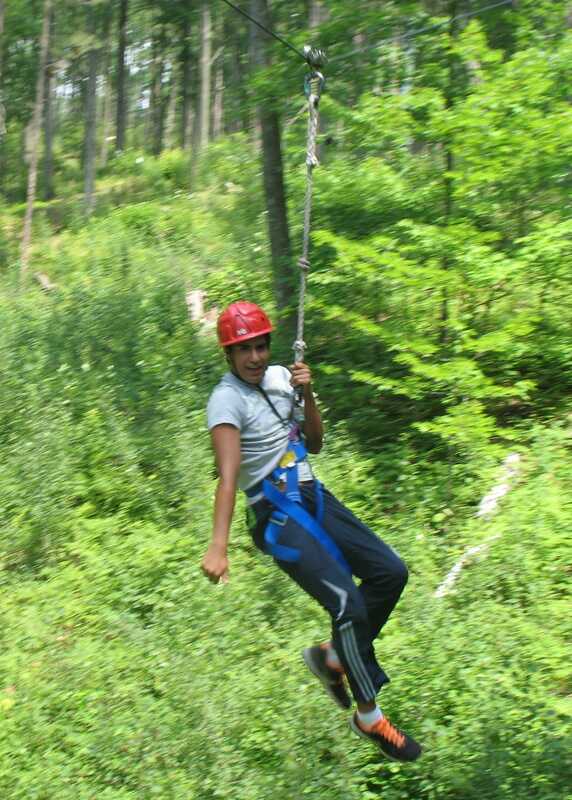 For the past several years, CITs have visited the COVAC Adventure Course in nearby Rhinelander. Accompanied by TP & WL staff, the CITs are lead through a series of problem-solving exercises by the experienced COVAC facilitators. The day begins with a discussion about the Full Value Contract, which focuses on safety, communication, challenging yourself, and showing / receiving respect – all values shared by the TP / WL counselors. The CITs then continue to develop their teambuilding skills via group initiatives, low, and high elements – including the exhilarating Zip Line. The 2013 CITs did a great job, as they’ve been doing all summer in their other tasks. Although the trip is a lot of fun, it’s fun with a purpose. By the end of day, the CITs have learned a valuable lesson: things that are impossible to do alone can be accomplished easily when you work together as a team. Great work CITs, you’ll soon be welcome members of the Well Oiled TP Machine! !